(Natural News) If you are always on the lookout for the next big thing in health and wellness, you probably have heard of the health benefits of apple cider vinegar. Apple cider vinegar (ACV) contains a wealth of raw enzymes and beneficial bacteria and the fermentation process accounts for the many health benefits like lowering cholesterol levels, maintaining blood sugar levels and relieving acid reflux. It maintains a healthy alkaline pH levels – Better health means your body has a healthy dose of alkaline pH level. Acid-alkaline balance level is essential especially since our body always strives to achieve the best state of equilibrium. Our body works best when it has the perfect balance of pH, as higher acid levels can actually lead to infection and lack of energy. It regulates your blood sugar levels – For those who are at risk of Type 2 diabetes, drinking unfiltered ACV can be therapeutic as it can lower blood sugar levels on an average of four to six percent by morning. It keeps your heart well and healthy – Lessen the risk of heart diseases with ACV as it can increase your good cholesterol as reported by the 2006 study of Medscape General Medicine. It helps detoxify for a healthy liver – Balancing your body’s pH can actually detoxify your body as it cleanses out all the toxin build-up on your lymph nodes. Better lymph circulation and healthy lymphatic system help improve the immune system. It helps you lose belly fat – Intake of ACV can help you lose all the excess pounds and belly fat. Studies show that it can help increase satiety and encourage you to consume fewer calories, which may lead to weight loss. 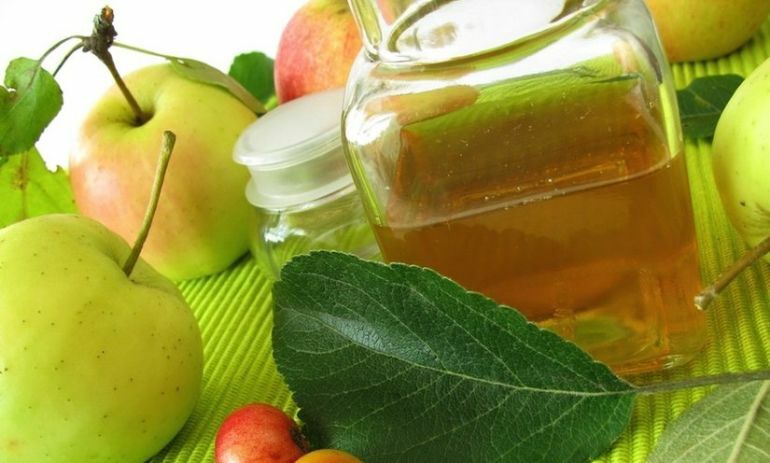 It kills harmful bacteria – ACV can inhibit bacteria like E.coli and can help kill pathogens. Acetic acid is the main ingredient in vinegar and has been proven to kill and prevent harmful bacteria from multiplying. It may lower risk of cancer – ACV has anti-cancer properties and can help hinder the growth of cancer cells. Moreover, it can also aid in shrinking tumors while lowering down the risk for certain type of cancers. It prevents osteoporosis – More than one in four women are diagnosed with osteoporosis, and ACV can help in preventing this condition. It promotes proper calcium absorption which strengthens your bones. It helps you look and feel young – The antioxidant properties of ACV can help prevent premature aging and aids in slowing down the aging process. This “magical cure” can maintain your pH levels which plays a major key role in looking young. It fights off free radicals – Harvesting more free radicals in the body can cause oxidative damage to tissues, proteins, DNA and cell membrane. This can lead to different ailments like ulcers, immune disorders, emphysema, and arthritis. Maintaining the right amount of free radicals in the body can help you gain more health benefits. Apple cider vinegar is without a doubt one of the healthiest concoctions as it has numerous health benefits. However, it’s important to note that taking ACV is only an add-on in your journey in keeping you fit and healthy. Proper diet and exercise are still vital in keeping the body in good condition. Being fit and healthy is the way to go! Give your body a boost by learning more ways to cleanse it at Detox.news today.